It was an AMAZING day. Nick and Katie had a dream wedding day. The theme was love birds. The decor included special bird nests and porcelain birds even on the top of the wedding cake. 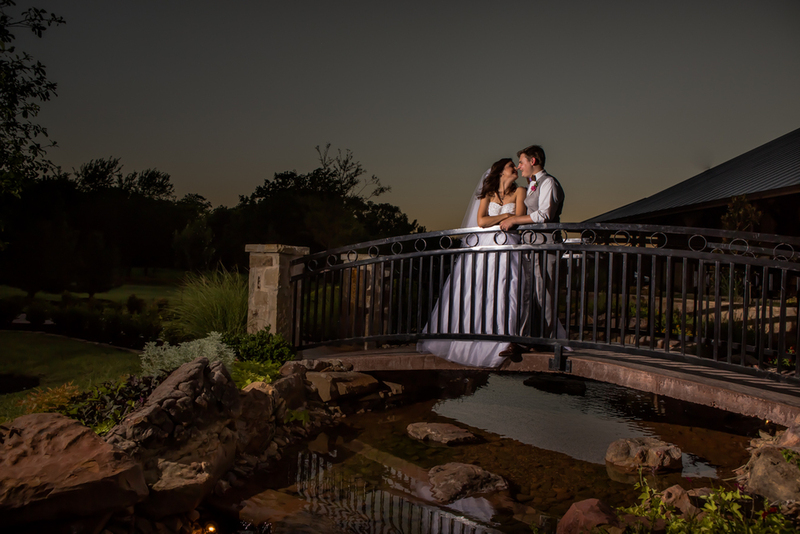 Both the wedding ceremony and reception were at The Springs Events in Edmond, Oklahoma. This venue was amazing with a rustic barn and gorgeous gardens and a bridge over a waterfall. Katie was such a sweet and beautiful bride. As her father walked her down the aisle, Nick could not hold back his tears as his eyes beheld his bride to be. It was a very special moment for them and their family and friends. They vowed to give their lives to each other and exchanged rings all in the presence of God, family and friends.